Xiaomi’s MIX series has been always known as the embodiment of innovation technologies. But recently, a few other companies have started gaining momentum and making a good competition to this line. VIVO is among them. The latest creation of this manufacturer is already out. And it’s quite interesting to know how the VIVO NEX Dual-Screen can struggle with the Xiaomi Mi MIX 3. Of course, these handsets have different form factors, but they are full of technology and art. As said, the most obvious difference of these handsets is their appearance. If the Xiaomi mi MIX 3 is using a sliding screen structure, the VIVO NEX Dual-Screen sports a dual-color-screen design style, previously seen on the Nubia X. These different approaches cause different layout of many components. 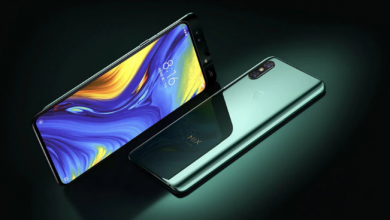 Say, the Xiaomi Mi MIX 3 hides the front camera under the slide screen, while the VIVO NEX Dual-Screen version sports only one camera module, which is placed on the rear panel, above the 5.5-inch screen. Also, it is located inside the star ring. The back of the Xiaomi Mi MIX 3 looks more common. It has a high recognition rate. Thus, looking at it we can immediately understand we are dealing with a Xiaomi phone. In this sense, the VIVO NEX Dual-Screen version can’t be confused with any other device. It has no opening on the back, such as the fingerprint recognition module. Instead, there is the star ring with an interesting color effect. Thus, when holding in hand, it looks quite outstanding. However, when talking about the real differences of these two, we should pay attention to the middle frame and the keys layout on it. The keys placed on the sides may be familiar to us, but their functions are quite different. For the VIVO NEX Dual-Screen version, there is a power button for the secondary screen. And the Xiaomi Mi MIX 3’s smart button wakes up the Xiao Ai voice assistant. The right side of the middle frame comes with identical keys layout. As you guess, these are the power button and the volume rocker. One of the main differences is the moved SIM card slot of the VIVO NEX Dual-Screen version to the bottom while retaining the 3.5mm audio jack on the top of the fuselage. As you understand, there are too little similarities in these two because they have different form factors. This is conditioned with the fact our protagonists adopt different full-screen solutions. And as the Xiaomi Mi MIX 3 uses a sliding structure, it’s logical it should be bulkier and heavier. Moreover, the VIVO NEX Dual-Screen version is more durable than the slide rail. It’s expected the VIVO NEX Dual-Screen version should provide way better selfie shooting capabilities because it has combined the front and rear cameras. But we also should learn the real differences based on samples. 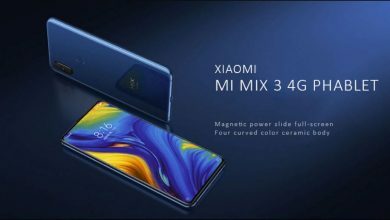 The Xiaomi Mi MIX 3 sports a 24MP + 2MP front camera as well as a 12MP+12MP dual-camera on the back. In total, there are four camera sensors. In this sense, the VIVO NEX Dual-Screen version sports a triple-camera design with a 12MP main camera, a 2MP night vision camera, and a TOF 3D stereo camera. If looking at the camera parameters only, the VIVO NEX Dual-Screen version looks more attractive to us. First of all, its night vision camera has a single pixel size of 2.9 microns, which can ensure more light input, and the night shot details should be clearer. Secondly, it also has a TOF 3D depth camera, supporting face recognition and stereo modeling. 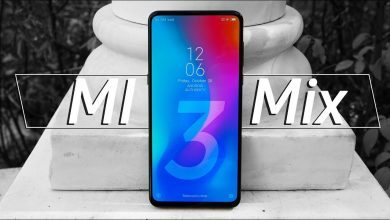 Though the Xiaomi Mi MIX 3 is considered to be one of the most innovative smartphones of the company, it has no screen fingerprint recognition and doesn’t support 3D structure light face recognition. Anyway, both use the Sony IMX363 sensor as the main camera. As you can see, the triple camera of the VIVO NEX Dual-Screen version performs way better than the Xiaomi Mi MIX 3. The saturated color palette of it is more abundant, while the Xiaomi Mi MIX 3 has a more natural color and a flatter saturation. For the overall imaging performance, each has its own merits. But at the first glance, VIVO’s results are more eye-catching. For the overall style of the picture, this needs to look at the manufacturer’s adjustment tendency, I can only say that each has its own merits. But at first glance, the VIVO NEX dual-screen version is more likely to catch my eye. In the dark environment, the brightness of the VIVO NEX Dual-Screen version is much better than the Xiaomi Mi MIX 3, which is more conducive to the display of dark details. As for the beauty function, VIVO has always been outstanding in this regard. This time, with the TOD 3D lens, it creates a rejuvenation camera function. In contrast, the beauty skills of the Xiaomi Mi MIX 3 are weak. Though it seems natural, the skin is much finer and whiter. The final conclusion is both models are quite strong in taking photos, but due to the triple-camera setup, the VIVO NEX Dual-Screen version undoubtedly has more advantages. In terms of performance, both phones use the Qualcomm Snapdragon 845 mobile platform. So the performance is very strong, and also enough to cope with the current mainstream games. But when it comes to the actual benchmark tests, seems the VIVO NEX Dual-Screen version uses the whole potential of this platform, while there are some limitations for the Xiaomi Mi MIX 3. This difference is reflected in both the CPU and the GPU. But as said, there are no problems with the two smartphones in the mainstream apps or games. On the other hand, all major manufacturers made their own optimizations. So even the lower models can play mainstream games. What’s worth to mention is that both phones have a 10GB variant. If the VIVO NEX Dual-Screen version has real advantages in terms of camera and performance because it comes with a more powerful hardware, the same can be said for the system interaction. The core logic of the sliding full-screen phone is to isolate the selfie function from the system. Apart from the selfie, the interactive logic of the system has not changed basically. Thus, it is almost the same as the popular bangs full-screen handsets on the market. The VIVO NEX Dual-Screen version extends the back side of the interactive screen. Through the flipping of the screen, it is more convenient to handle multi-tasking. For example, when the game is flipped, the screen can be switched to the social media app. Turn the screen to automatically enter the game. Obviously, such interaction logic is more convenient. Users do not have to switch applications. They just have to flip the screen to complete the cumbersome steps of switching programs. It really solved the pain points of current smartphones. In addition to multitasking switching, the user’s personalized needs can also be met via a custom secondary screen. For example, the ‘Mood Pass’ function of the VIVO NEX Dual-Screen version provides users with more ways to play with the secondary screen. So that the secondary screen is not just a self-portrait viewfinder. Of course, Xiaomi also has a custom functions for the slide operation. For example, pushing the slide cover can open the toolbox and other shortcut operations. But after all, the application scenarios are relatively less, and Xiaomi needs to further develop the slide function. In terms of battery life, the VIVO NEX Dual-Screen version’s endurance performance is significantly higher than the Xiaomi Mi MIX 3, which comes with a relatively smaller battery capacity caused by the sliding structure. As for charging, the Xiaomi Mi MIX 3 supports an 18W QC fast charging, which is ideal for a 3200mAH battery to fill quickly. However, the VIVO NEX Dual-Screen version uses a 22.5W fast charging head, the battery power is 3500mAh, which is slightly larger than the MIX 3. As a result, it charges the battery way faster. In fact, these are not the first models in their types. We have seen too many models with a dual-screen design as well as with a sliding structure. As for this moment, we have to say the manufacturers came back to these solutions in order to solve the problem of designing a genuine full-screen. But we should also state they should invent something better. However, if comparing the dual-screen solution with the sliding screen, we can say the former one has an advantage – it is not bulky. Thus, it improves the space utilization efficiency inside the smartphone. This also allows the phone to sport a larger capacity battery. But on the other hand, if using both screen frequently, it will consume more power. Another option, the dual-screen phone, naturally, allows implementing more scenarios, making the handset a real beast in terms of multitasking. At the same time, the sliding screen phone doesn’t allow us to do many things. It can be at two states. So not that much can be invented for it. SABBAT E12 vs X12 Pro: Which is the Best True Wireless Earbuds?